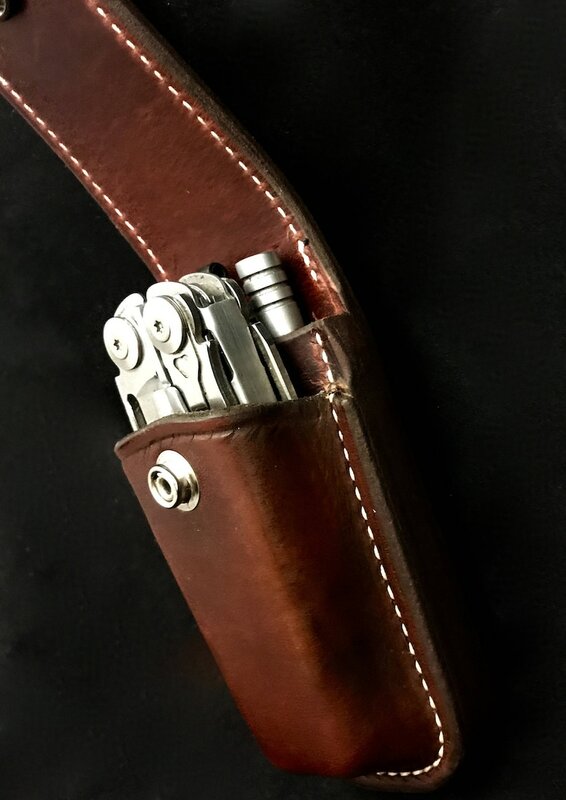 This product is a custom leather case/sheath for the Leatherman tool of your choice. It has an extra pocket that holds ONE bit card and the bit extender! This makes a less bulky sheath using one bit card rather then two. - Added Pocket holds one bit extension securely. *PLEASE NOTE ANY CHANGES YOU WOULD LIKE TO MAKE!